Red Cross is helping young Kiwis gain confidence, build skills and develop leadership and teamwork. The fire engine’s hose is pumping water at full blast, but there are no flames in sight. The commotion is all for an imaginary fire - one of many exercises designed to test the students taking part in Red Cross’ Rise Up adventure camp. The camp gives 10- to 12-year-olds the chance to 'rise up' through challenges that build confidence, develop new skills and encourage teamwork and leadership. Held in Manawatu, the camp is a full-on four days, Red Cross Youth Coordinator Stacey Foskett says. Campers also discuss values and set goals, which they work towards through the camp and at home afterwards. They reunite in a few months to catch up and check their progress. While Rise Up helps children gain new skills, it’s also providing valuable experience for the older volunteers. 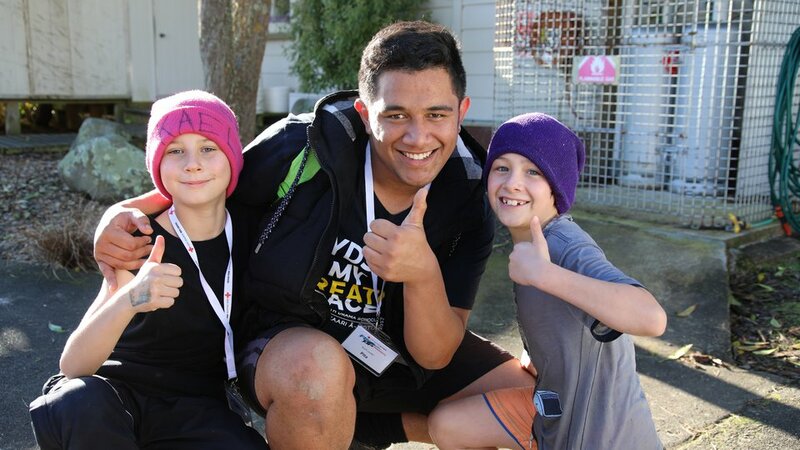 Youth leader Pita Ruru is volunteering at the camp for the first time. It’s his job to look after the campers and be a role model for his team. The 17-year-old admits he was once “the naughty kid” at school. He volunteered at Rise Up to help others like him. “I know where they’ve been and I know what it’s like. I want to be a change,” he says. Pita plans to become a teacher after finishing school and says the Rise Up experience will help him achieve this. Otaki College students Lily and Sapphire, both 11, say they have enjoyed making new friends and trying new activities during the camp. “It’s just really fun,” Sapphire says. Rise Up runs twice a year in Manawatu, with similar Red Cross youth camps held in Taranaki and Gisborne.